Does your spouse do all the financial planning? In many marriages, one spouse likes managing the finances better than the other. Some folks read stock prospectuses for fun; others would rather get a root canal than look at a spreadsheet. But both partners should understand the big financial picture and how their money is invested, financial planners say. Disengaging is a bad idea, even if your spouse seems like a financial genius. “One of the risks is getting blindsided,” says Keith Fenstad, a certified financial planner and partner at Tanglewood Total Wealth Management in Houston. After years of trusting everything is OK, you wake up to learn you’re broke. Or your partner dies, and you don’t know how to access the financial accounts. Or you break up and have to figure out the finances from scratch. That increases the stress of divorce and boosts the legal costs to discover information, says Cicily Maton, a certified financial planner and partner at The Planning Center in Chicago. Where your money is invested and how much you have: Know the names of the financial institutions where you have accounts individually and together, along with where to find the account numbers and passwords. If your spouse were incapacitated, would you know how to access the accounts? Also, have a general idea how much money is in each account. Your financial advisers: Sometimes one spouse handles all the contact with accountants, insurance agents, brokers and other financial advisers. Meet these folks or at least know how to contact them and what they handle. “You need to know who you’re going to talk to if you have questions,” says Linda Leitz, a certified financial planner at Peace of Mind Financial Planning in Colorado Springs, Colorado. Knowing the bare minimum will help you survive in a crisis. Even better, though, is to build a savings and investing strategy together as a couple. 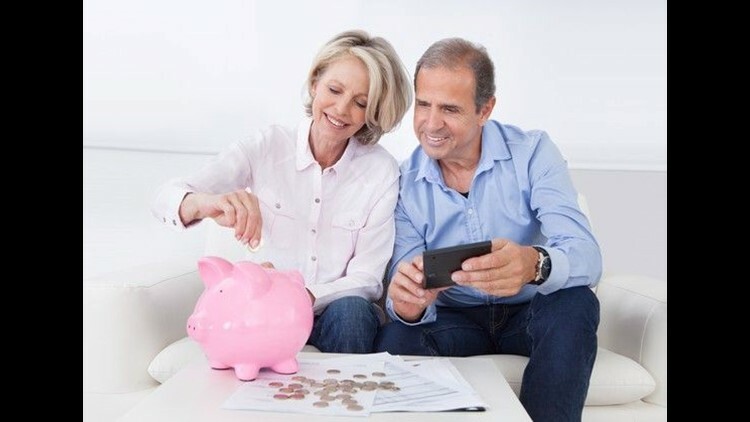 That means not just knowing how much money you have, but understanding how the money is invested and the strategy behind it, including in each others’ 401(k)s or IRAs. “If you’re not coordinating savings goals and how you’re investing money, you’re each taking shots in the dark, and no one knows if you’re going in the same direction,” Leitz says. Make a date to discuss money: Set aside time free from distractions to discuss financial goals and where things stand. “It’s just a conversation,” Fenstad says. “It doesn’t have to be full of spreadsheets.” Continue to check in about money periodically, maybe once a month. Calculate net worth: This number is your financial bottom line – the value of your assets, such as savings and investment accounts, minus debt. Determining your net worth is a good way to get a financial overview, Fenstad says. Repeat annually to track your progress together. Make or review your estate plan: Every couple, especially parents, should have an estate plan, which includes a will and power of attorney documents. Review your plan together if you already have one, or work with an attorney to create an estate plan. The process is another good way to get a summary of everything you have, Maton says. Fee-only vs. fee-based financial planner: What’s the difference? How much does a financial adviser cost?